Last weekend I mentioned to Megan that I was going to Lush and wanted to pick up a new charity pot. If you’re familiar with Lush than you probably know they partner with a lot of small non-profits through their charity pot program. They are also one of the companies leading the way for eliminating animal testing worldwide. If you’re not familiar with Lush then you may not have known that – but now you do! Megan suggested that I start a series on my blog about brands that are doing good – and I’m all for that. I’m definitely not an expert on the subject, but if I find out a brand is “doing good” (sustainable/eco-friendly/cruelty free) I’m 110% more likely to buy from them. 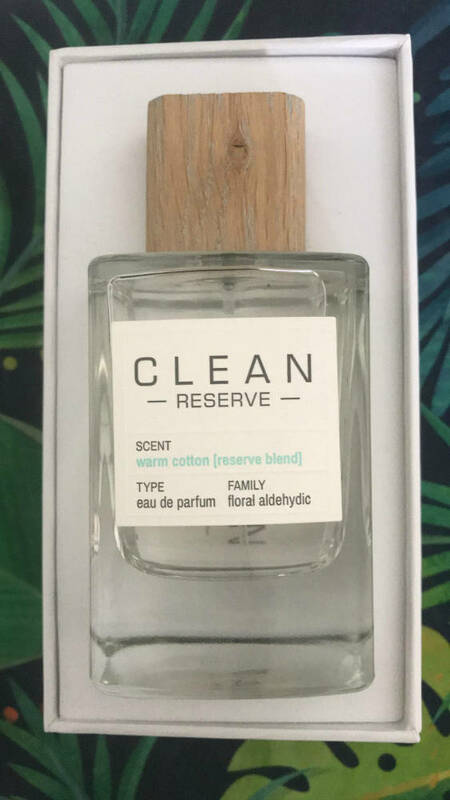 I want to dedicate a whole video to Lush at some point in the (near) future, but today I want to talk another product I got for my birthday from a sustainable brand called Clean Reserve. I had been eyeing up the Clean Reserve fragrance collection at Sephora for a while and finally purchased a bottle of Warm Cotton last weekend. 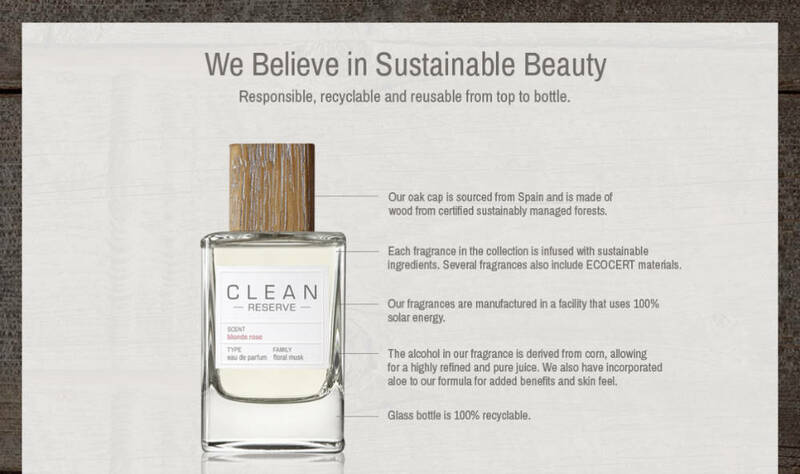 I knew that Clean Reserve was a sustainable brand but I didn’t realize the extent to which they took it until I bought the bottle. On the outside of the box they mention that they use eco-conscious extraction methods to ensure they don’t harm the plants from which the fragrance resin is harvested. On the inside of the box they say to go to their website to find out more…. When I got to their site I was really pleasantly surprised to learn the many ways this company is being eco-conscious. The cap of the bottle is made from certified sustainably managed forests. The facility the fragrance is made in is powered by 100% solar energy and the glass bottle is recyclable of course. The paper used for the box materials is FSC (Forest Stewardship Council) certified which means it was sourced in an environmentally-friendly, socially responsible and economically viable manner. The carton itself was wrapped in clear cellophane (not plastic) that will break down into carbon dioxide and water. The Warm Cotton scent that I got is SUPER fragrant. Literally two spritzes is all you need and it will last ALL DAY. Other scents I want to buy include Rain and Acqua Neroli – both smell so good if you’re not into cotton scents. 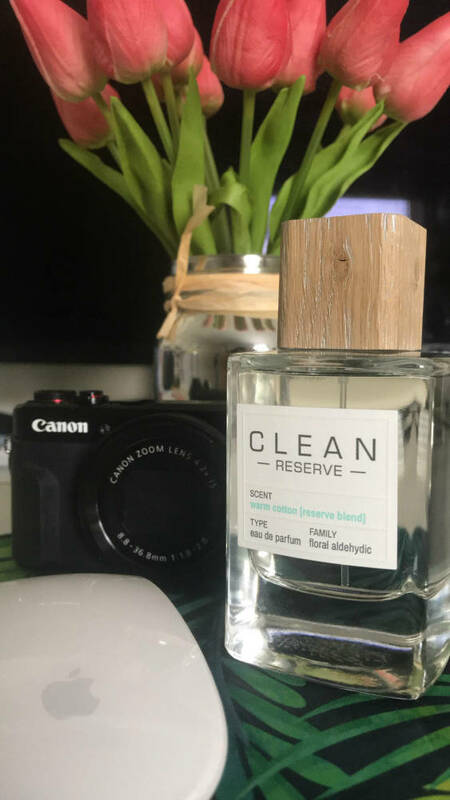 I looooove the smell of fresh laundry and always burn fresh cotton scented candles, so choosing the Warm Cotton scent from Clean Reserve was an easy choice for me. 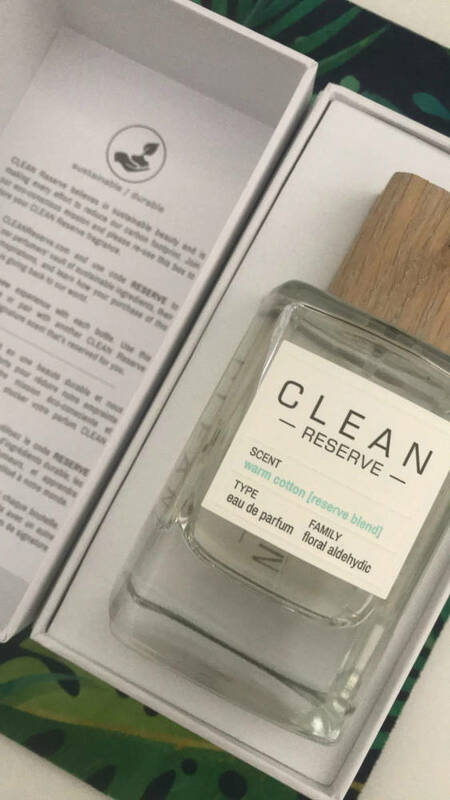 Clean Reserve is a luxury perfume so it’s not cheap. I paid $100 for a 3.4oz bottle. That sounds like A LOT (and it is) but 3.4oz is about double the size of most perfume bottles (which are 1.7oz). Sephora does carry smaller travel/trial sizes that are much less expensive if you’re interested but not ready to splash out that kind of cash. You can also save 15% by purchasing from the Clean Reserve website. Let me know if you have any questions about this perfume. I’ve worn it every day this week since buying it and I don’t see myself stopping any time soon! *This post contains affiliate links to Sephora. If you make a purchase from one of these links I’ll earn a small commission. Wow! I am very impressed with how sustainable they are! I was reading an article on styrofoam and how long it last in landfills… it is horrific!! Oh I know!!!! Styrofoam is the worst, at least most companies don’t use it for packing boxes anymore. But can you imagine how much is in landfills just from those styrofoam peanuts that were in every box when we were growing up?! Yikes!